Professional cymbal with multiple tonal options. Developed in conjunction with leading drum stylist Akira Jimbo, the Zildjian K Kustom Hybrid Hi-Hat Pair features an innovative brilliant/traditional surface that produces different tones depending on where the cymbal is played for a musical "darkness with brilliance" combination. 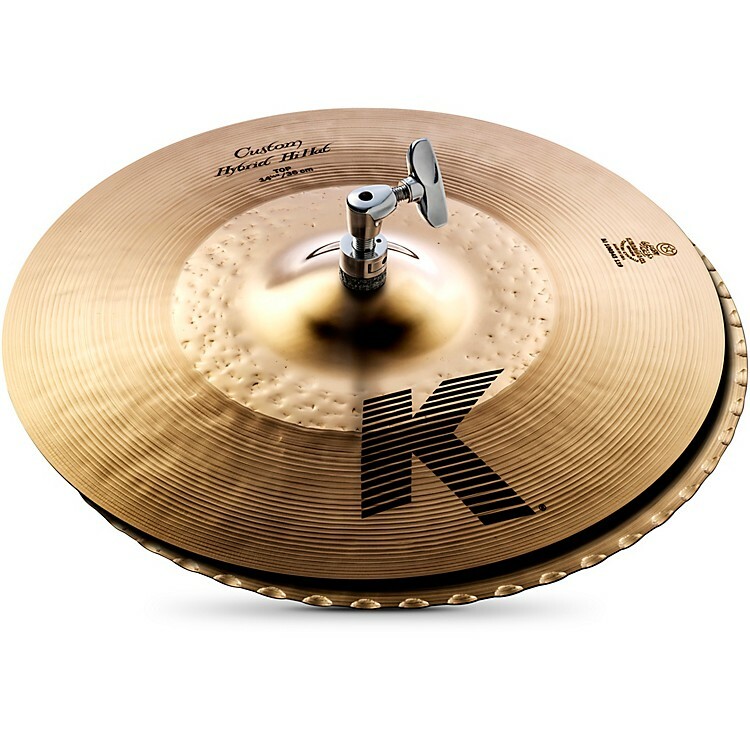 The inner half features the unlathed, brilliant finish of the K Custom Ride, while the outer half features the traditionally finished K Zildjian lathing. The unlathed section helps control the wash and sustain, making it ideal for recording and live situations. The innovative "Hybrid Hammering" on the hi-hat results in reverse Mastersound grooves by hammering into the bottom of the cymbal from the opposite side. This results in increased surface area contact between the top and bottom cymbals, and a warmer chick and wash than normal Mastersound hammering. Akira specified the 13-1/4" size to combine the power of a 14" size and the control of a 13".